“Are you telling me those albums I sold for practically nothing at a garage sale several years back are now worth something? Dang, I knew I should have hung onto those.” This was a recent conversation I had with a dear friend. Now I’m remembering everything I let go. 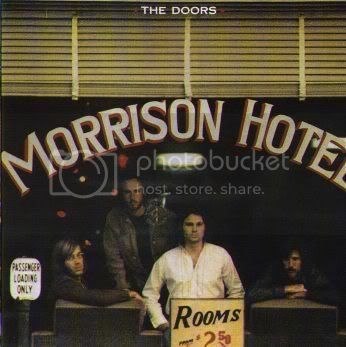 Let’s see, I had the Doors. Remember the line from Break on Through? I found an island in your arms, a country in your eyes? Words stuffed like emotional crème puffs. There was also Journey, and Pink Floyd, The Who, Stones, Eagles, Moody Blues and Led Zeppelin. Yes, I sold them all. 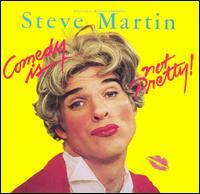 I even threw in comedian Steve Martin’s album, Comedy is not Pretty. Someone pried that one out my hands. I shared the laughs. And the weird thing is, Steve still looks almost exactly the same as when I saw him on stage all those years ago…ha! These days I’m feeling a little like classic Vinyl myself. Can anyone relate? The kids are growing up and out, yet another daughter recently spread her wings and flew on over to California, and one a couple of weeks before that to Missouri. For the first time in twenty-three years, quiet time has erupted in my world like a volcano. I’ve had five full days to myself, and after initially feeling like crap on a cracker, I decided to soak the tiredness out of my feet after two decades of running. For the past few days, I've slept in, and when I wake swing around in my chair, drinking coffee and watching cardinals at the bird feeder. I’ve scrubbed floors and dusted and put the house in order and it hasn’t moved! One day I rented fantastic chick flicks and watched them in mid-afternoon, while eating extravagant Chinese takeout. In the evenings I’ve written and began to understand how one can get lost in silence, the delicious rhythm and rhyme of it. By day three, quiet slipped on me like a new dress. Now I’m ready for noise again: family, friends, a little dirt, clutter, the messy business of life. I miss my children like crazy, but knew full well they would grow up one day. I’m excited for their new adventures and excited for mine, too. I'm happy to still have a sweet, colorful bird in the nest for the time being. Life is a continuous journey of change. We must learn to connect new dots, to reinvent ourselves. Classics are superb at this! Thanks, Wiffie! I needed a little time to do nothing if I wanted. Now I'm ready to begin again. I'll check out Diane's post. Make that two hopeless romantics! Ha, yeah, we're still flapping about. Loved the way you put that.